The 58 lb. 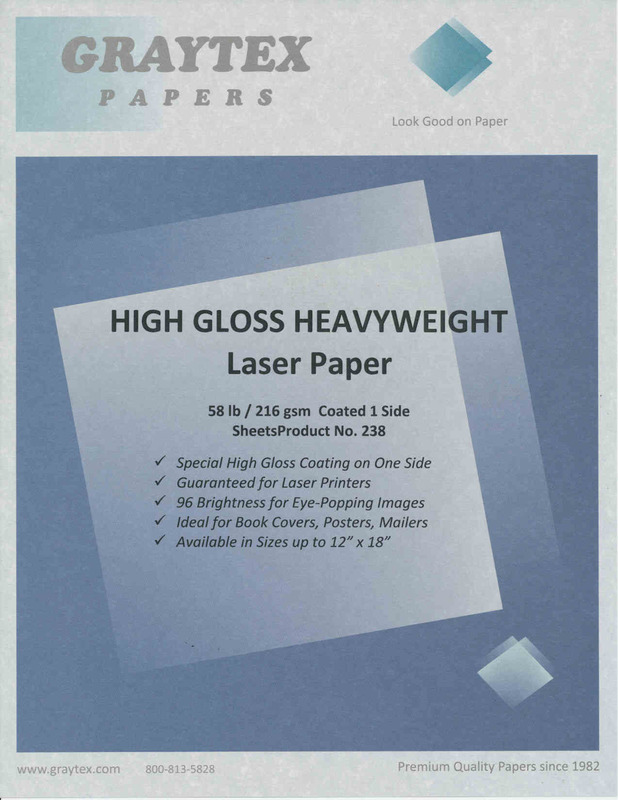 photo laser paper provides a superior gloss finish for rich photo-quality presentation printing. The 58 lb. weight provides additional durability and aphotograph-like feel. This is the ideal solution for printing photographs and other color-rich documents on your color laser printer. The high gloss coating is proven to be effective and reliable when used in both laser and color laser printers. The coating will not melt in your professional-grade color laser printer. Refer to the brochure paper article for the latest two-sided options. Also available in 32 lb. for a photo-gloss finish on a lighter weight sheet.